The Queensland Government has tabled a Bill in Parliament last Wednesday (27 February) that will impact on several industries including bananas, cane and grazing. The regulations establish ‘minimum standards’ that set out maximum nutrient application rates, the placement of fertiliser, erosion and sediment control measures and new approval processes for new farming developments. There has been a lot of media coverage of the regulations in recent days. Officers from the Department of Environment and Science (DES) and the ABGC Board and staff are still debating the minimum standards for the banana industry. There are a few sticking points including the government wanting to cap the amount of nitrogen and phosphorous that can be applied to banana plants. The ABGC’s view is that this is unreasonable as it does not take into consideration the complexity of banana production systems. Discussions with the government are continuing. To allow growers to have input into the discussions, ABGC staff are organising a meeting at South Johnstone in late March (date to be set). This will allow growers and the regulators to discuss the minimum standards as they are currently drafted and how they might be applied on a banana farm. The ABGC Board understands that no banana grower wants more regulation and no banana grower wants to damage the Reef. Hopefully the industry and the government can come to an agreement about the best way forward. If you want more information on the minimum standards or the meeting with DES officers, please contact Michelle McKinlay, Industry Strategy Manager, ABGC on 07 32784786 or by email at michelle@abgc.org.au. If you want to make contact with the relevant government officers, you can email officeofthegbr@des.qld.gov.au with your comments or concerns. 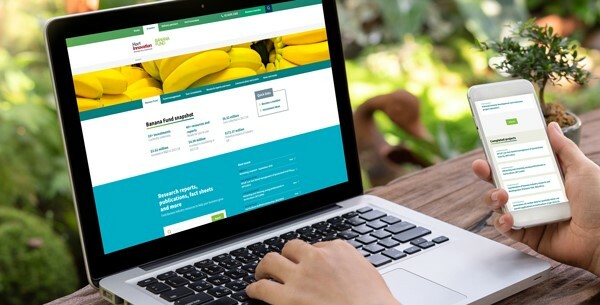 Hort Innovation’s new website helps the banana industry to find levy information and resources quickly and easily, with the Banana Fund now having its own dedicated section. To get the most out of the new website watch the short how-to video. Visit the Banana Fund section now. Hort Innovation is currently hosting workshops around the country to help inform its new Strategic Plan. The workshops are designed to be a way for growers and industry members to share their thoughts on banana levy investment, in both R&D and marketing. They’ll be structured around four key questions which you can find, along with other information, here. To register for these workshops, please visit Hort Innovation’s website here and find the workshop you would like to register for. If you cannot make one of these workshops, or if you would rather share your thoughts online, you can do so by clicking this link and scrolling towards the bottom of the page. The new Australian Horticulture Statistics Handbook has just landed – you can check it out here. You’ll find the banana breakdown in the fruit section, on pages marked 66-69. 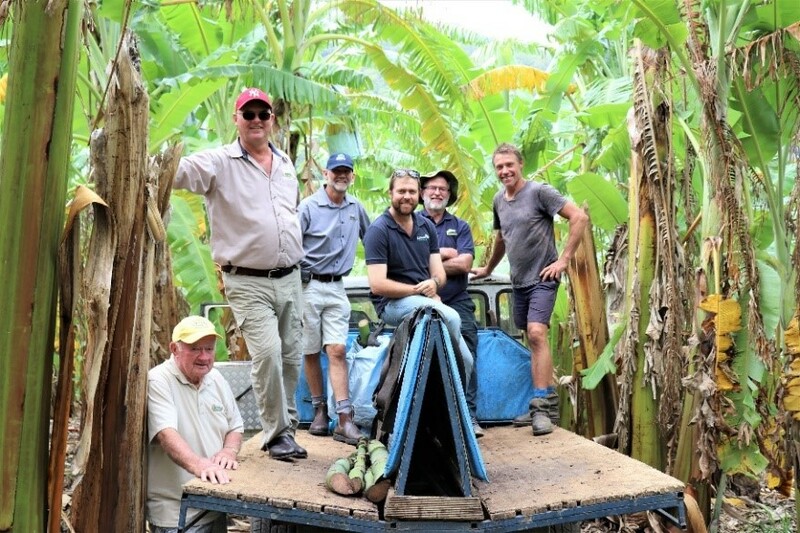 Hort Innovation recently put together a snapshot of the Coffs Harbour region, featuring NSW DPI Industry Development Officer Matt Weinert and banana grower Mick Gentle. You can check it out here. Pictured (L-R) ABGC Directors Tom Day, Leon Collins, Stephen Lowe (chair), Paul Inderbitzin, Stephen Spear and Coffs grower Mick Gentle. ABGC directors and senior staff travelled to Coffs Harbour last week to meet with local growers and hold their quarterly board meeting. A tour of three banana farms and the Oz Group pack house was conducted during the visit, giving directors the opportunity to hear growers’ issues and concerns, which included HARPS auditing and the Coffs by-pass proposal. ABGC will continue to work through these issues in consultation with NSW growers and thanked those who made the time to meet with directors and staff during their time in the region. During the board agenda, directors discussed the future of the Panama tropical race 4 (TR4) Management and Containment Program. The Board agreed that the Program was essential to reducing the rate of spread of TR4 and was worth industry investing in it. ABGC will send letters to all growers nationally next week with details of proposed future plans to fund TR4 management over the next four years. ABGC is keen to hear your views on the plan. All ABGC Grower Members (apart from those already consulted) will also be phoned by ABGC staff for their feedback. Excitement is building for the upcoming Australian Banana Industry Congress, to be held on the Gold Coast from May 22-24. The board was given an update on how preparations for the event were progressing, with all planning well ahead of schedule. The line-up at this year’s event is one of the best yet – offering a great cross-section of innovation and diversity – and is very much grower-focused. And, for the first time, growers who register during the ‘Early Bird’ period will go into the draw to win back the cost of their registration – and more – a prize valued at up to $2170*. T&Cs can be found here. For more details, visit the Congress website. It was all yellow – at Feast of the Senses! Calling all Cassowary Coast growers! Help your local BGA paint Innisfail yellow as part of Queensland’s premier tropical food event – Feast of the Senses. 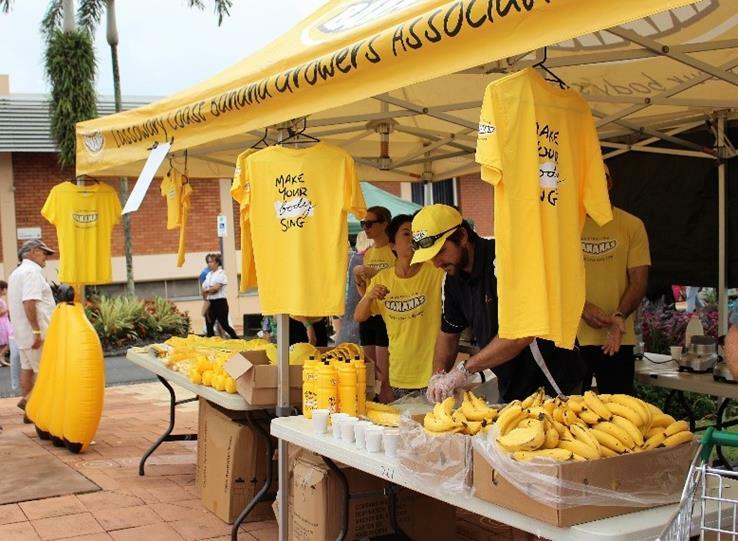 Volunteers are required to help man a stall at the Australian Bananas sponsored Market Day, on Sunday March 31. Whether you can contribute one hour or five, organiser Jo Borsato would love to hear from you. It’s a great chance to have some fun with good company – and promote the banana industry at the same time. Contact Jo on 0417611996 or via josephine.borsato@lpgroup.com.au. The Queensland Government is currently on the hunt for a senior research agronomist based in the state’s far north. The position will be responsible for proactive management and monitoring of an on-station research field trial, in conjunction with multiple commercial on-farm trial sites, that compare different nutrient rate management strategies and potential nitrogen loss mitigation practices in intensive banana farming systems. Details here. Applications close March 20. Pictured (L-R) Robert Mackay, Gavin Mackay, Minister Littleproud, ABGC Chair Stephen Lowe, Barrie Mackay and LNP Candidate for Kennedy Frank Beveridge. 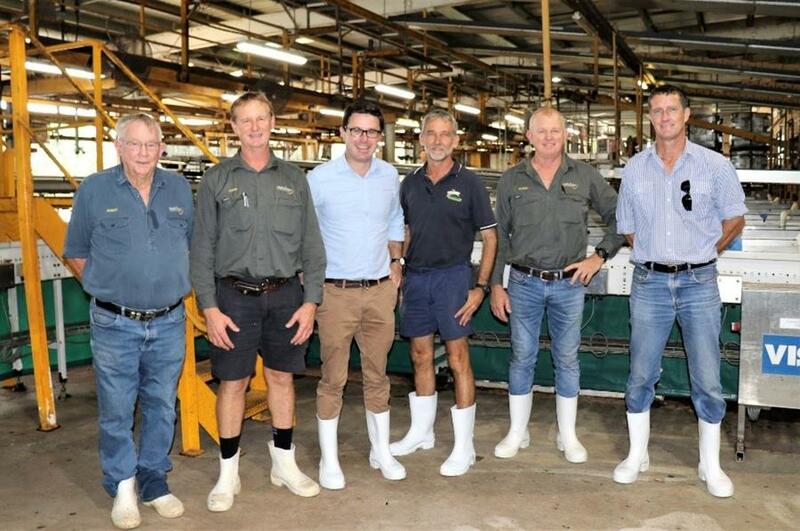 Federal Minister for Agriculture and Water Resources David Littleproud was briefed on issues facing the Australian banana industry during a trip to Far North Queensland earlier this week. Mr Littleproud visited the Mackay’s Bolinda farm, listening to various industry concerns including continued funding for research into TR4 resistant varieties as well as feral pig control in TR4 infected areas and high risk zones. Cyclone Oma may not have made landfall in South East Queensland or Northern New South Wales, but her side effects were well and truly felt by some banana growers. Among those affected were Colin and Sarvan Singh, who estimated they lost 95 per cent of their Cavendish crop. Read their story on ABC Rural here. One for future leaders in the Tully region! The second ‘Emerging Leaders’ program, run by the Wet Tropics Major Integrated Project, is slated to take place on April 29 and 30. The fully funded program is run over two days with a small face-to-face group. To find out more, or even talk to a previous participant, call Fiona George on 0488 702 203. Previous PostWin your way to Congress! Next PostEarly bird Congress registrations close tomorrow!